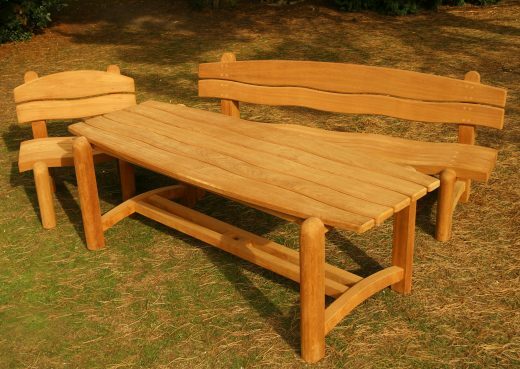 Woodcraft UK garden tables are handcrafted to the same impeccable standards as our memorial benches, pergolas and gazebos. 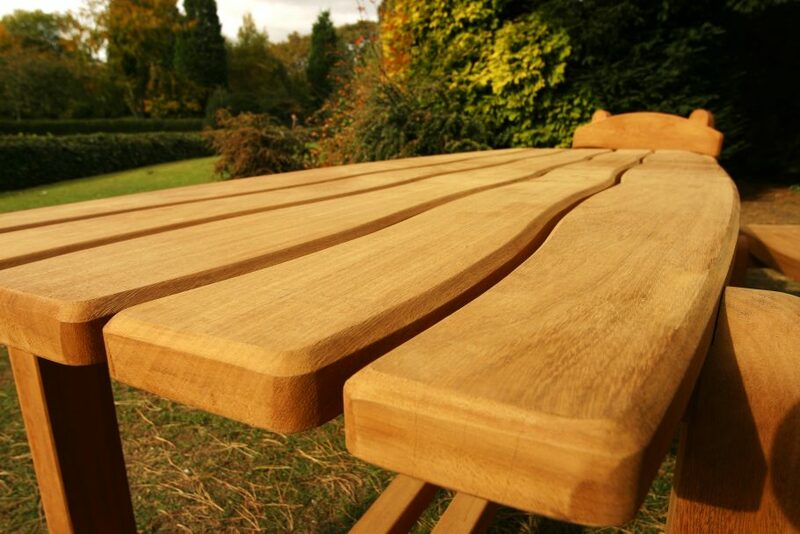 We create garden tables for any space and designed to a style that will suit your location and requirements. 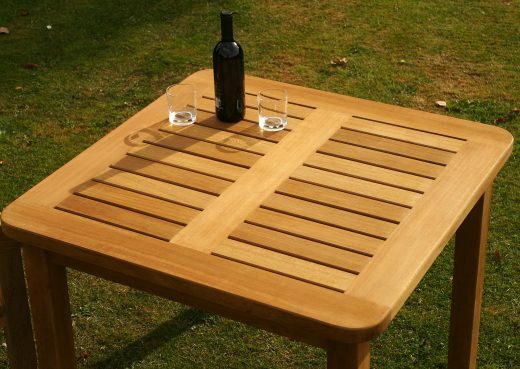 Practical, stylish, durable and great for all occasions, our eye-catching bespoke garden tables are created using only the finest hardwoods, including teak, oak and iroko. 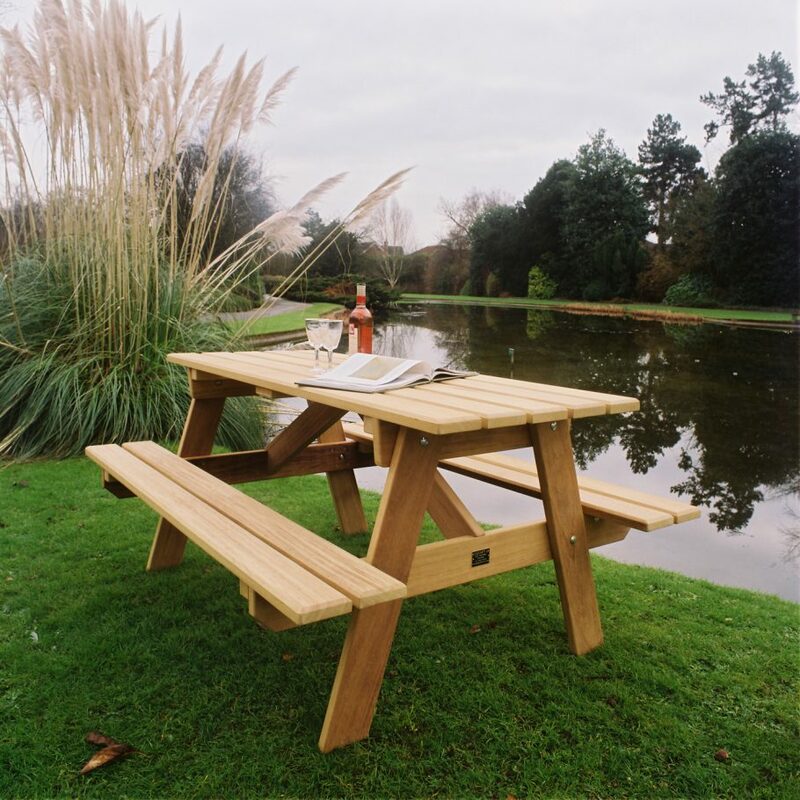 Ideal for National Trust / English Heritage sites as well as private use, our garden tables are often chosen by homeowners across the UK as their requirements dictate something more unusual than a standard garden or patio table. 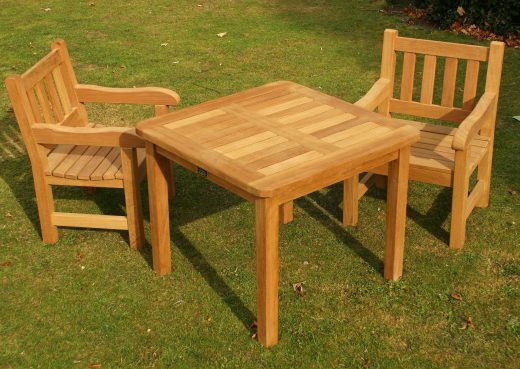 Our classic range of garden tables are anything but standard. 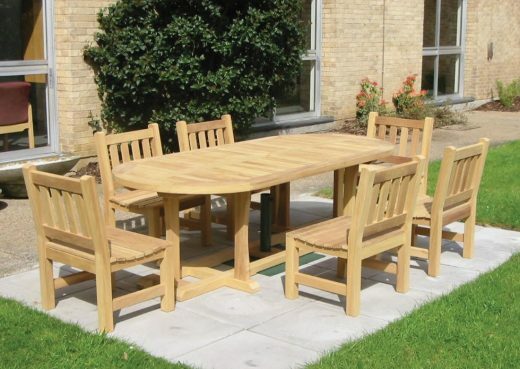 Designed to make outdoor dining and relaxation as accessible and enjoyable as possible, we have a number of sets that have proven popular over the years. 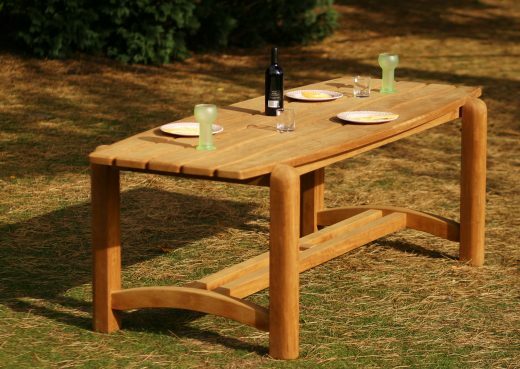 Starting with our Standard dining table, the slatted design prevents water retention whilst preserving the appearance of the timber, making it a great platform for an impromptu picnic or more elaborate al fresco meal. 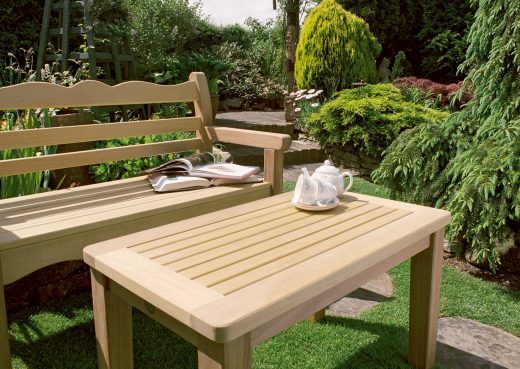 This goes particularly well with a classically styled York Bench and Chair or two, which can come with or without armrests. Then we have the Waveform dining table, which truly is a beauty with its smooth, gentle curves and option of a parasol hole at no extra cost. 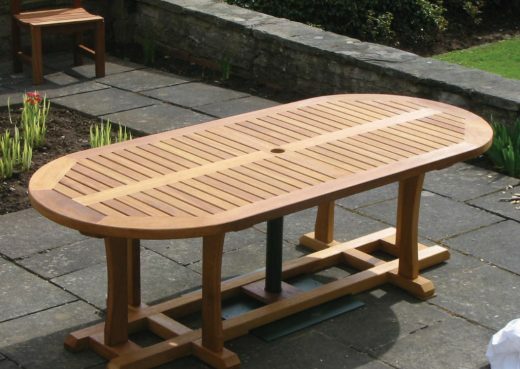 Spot on for all kinds of uses, the Waveform is often chosen as a picnic table or a patio table to go with a set of Waveform benches and chairs. The Wetherby dining table is something else entirely. At up to 2.4 metres long, its oval design is both accommodating and elegant, easily seating six people with legroom to spare. Large families tend to choose this product, yet it۪s also a favourite with pubs, recreational facilities, and landlords who want to treat their student tenants. 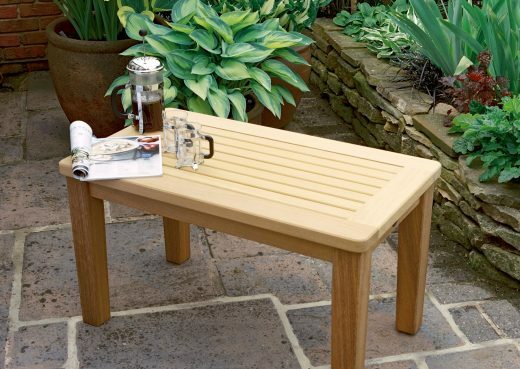 The Malton Coffee Table is perfectly practical and while it is built with the same sturdiness as all of our garden tables is is also light and easily moved from conservatory to patio. 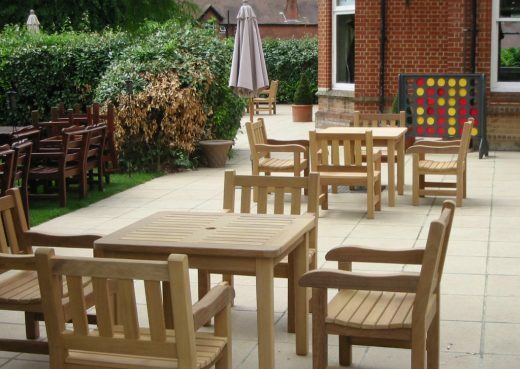 And finally, the Driffield Picnic Suite is named after the East Yorkshire market town that boasts a multitude of attractive spots for sitting down with sandwiches and buns. 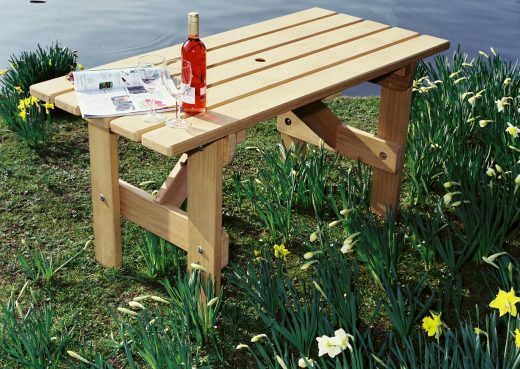 Heavy-duty and of especially sturdy construction, this picnic table is designed to withstand the British seasons, multiple users and less than delicate youngsters. 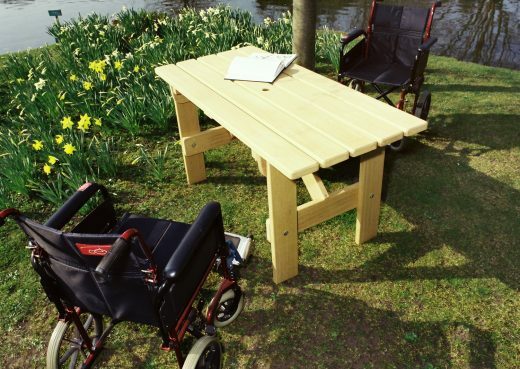 Often chosen for lakeside areas, caravan parks and other busy public areas, it's also been ordered by individuals and families who love eating outdoors in their back garden. 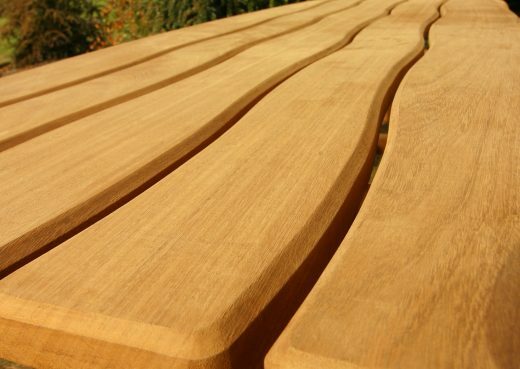 It can even be supplied with brackets for securing to the ground, so let us know if you need your Driffield Picnic Table to stand up to an especially frenetic environment. 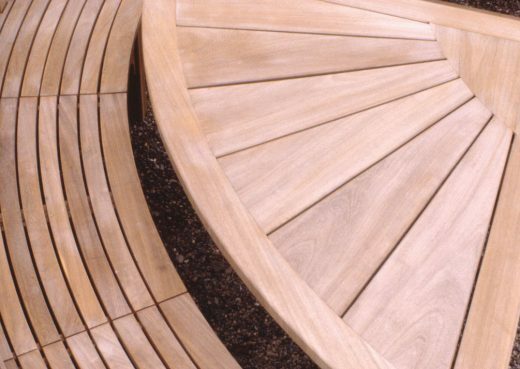 If you'd like to find out more about our beautiful wooden products or have a query, please get in touch through our contact form. 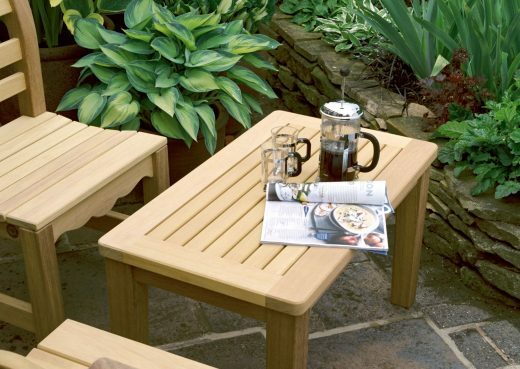 Plus we'd love to see photos of your outdoor dining and summer garden activities, so please do share your photos with us on our Facebook and Twitter pages.